Places to see in Junput: You will be amazed to see the converging point of Rasulpur and Ganga, where many tourist flock to savor the natural beauty of the place. The lighthouse is also worth watching. 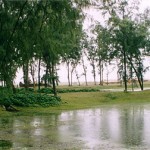 The place is also admired by a Kapalkundala temple and the museum of the fishery department. 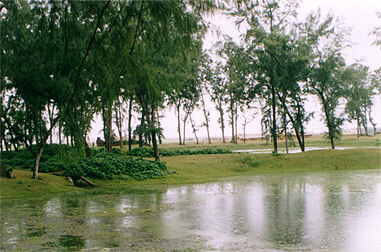 Nearby attractions in Junput: You can visit Digha, Mandarmuni, Tajpur and Talsharee within an hour’s drive from Junput. Things to do in Junput: Explore the serene sea beach of Junput. The sea of the region is quite and clam. How to reach Junput: The distance of Kolkata from Junput is 145 km. Drive along the route heading to Digha. From Kathi, Junput is just 9 km away. You can also opt for the railway route. Best time to visit Junput: There is no definite season of visiting Junput as tourists are found visiting the sea beach of Junput all through the year. Lodging and dining facilities in Junput: Nice accommodation facilities are offered by the resorts and hotels found in the area. The accommodation in Junput also provides decent dining facilities.